This essential duo contains the tools you need for a flawless Hair Fibers application every time, at a 20% savings. Create the look of fuller-looking, thicker hair by using these two must-have tools together with Hair Fibers. 1. Unscrew Hair Fibers cap by twisting and pulling off the sifter. 2. Screw the Spray Applicator onto the Hair Fibers bottle. 3. Press down on the Spray Applicator pump to dispense Hair Fibers. 4. 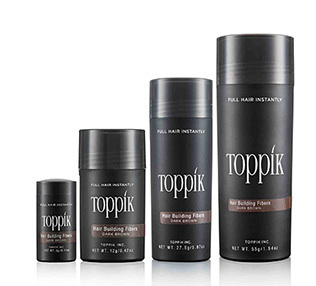 Use with Hairline Optimizer for a natural-looking hairline.